The first reaction against the move from the Valley was noticed on the social media platforms at 8.30 AM and by afternoon, close to 300 messages were posted against the decision on Facebook alone. NEW DELHI: India on Thursday reacted cautiously to US decision to recognise Jerusalem as the capital of Israel but several sympathizers of Kashmiri separatist organizations and Pakistan-based terror outfits came out strongly against the move. The sympathisers of the separatist groups and the terror outfits have flooded the social media with reactions expressing solidarity with Palestine’s claim on Jerusalem. Most of the reactions on the social media against the US decision have emerged from Kashmir Valley. Srinagar University, Baramulla, Anantnag, Jammu and Sopore have emerged as hubs for such social media posts,” said an official in the security establishment tracking online content on the development. The first reaction against the move from the Valley was noticed on the social media platforms at 8.30 AM and by afternoon, close to 300 messages were posted against the decision on Facebook alone. Such reactions from other parts of the country was almost negligible, the official said. “India's position on Palestine is shaped by its own views and interests and not determined by any third country,” the Government said in its reaction to the development. The reaction clearly indicates that India will continue to recognize Tel Aviv as capital of Israel. However, the reaction also indicates that the Government was open to review its policy on the basis of India’s national interests and people’s wishes. 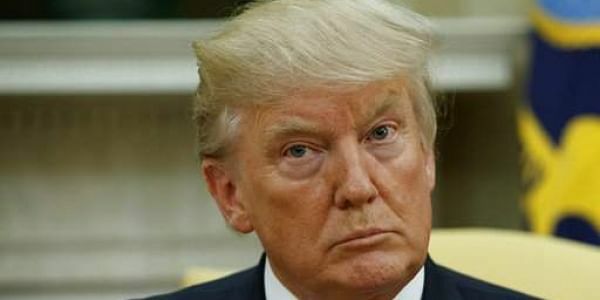 Reacting to US President Donald Trump’s decision, the Jamiat Ulama-e-Hind, the largest body of Muslim clerics in India, condemned the move and termed it as highly provocative. Madani also exhorted the UN to convene an urgent meeting on the issue and protect the interest of the Palestinians in keeping with its past rulings and conventions. Madani also appealed to the Arab world to review their diplomatic relations with the United States. Other Muslim outfits are expected to come out with calibrated responses by Friday. Reactions from political parties have also been subdued till so far.